Director Asociado of Madrid’s Teatro Real, Maestro Luisotti has been Music Director of San Francisco Opera from 2009 to 2018, where he has conducted over 40 operas and concerts since his Company debut in 2005 and he was awarded the San Francisco Opera Medal for artistic excellence. Among his distinguished San Francisco Opera credits, Luisotti co-led the Company’s world premiere commissioning project of Marco Tutino’s La Ciociara (Two Women), Salome, Lohengrin, Don Carlo and the Mozart-Da Ponte trilogy. Other recent season engagements include Cavalleria Rusticana and Pagliacci at the Metropolitan Opera in New York, Aida at Teatro Real, Tosca at the Palau de les Arts in Valencia, La Bohème and Falstaff at the Royal Opera House in London, as well as concert performances at the Accademia di Santa Cecilia in Rome and the Richard Tucker Music Foundation Gala Concert at Carnegie Hall in New York. His international credits and critical acclaim from press and public alike include his performances with the opera companies of Vienna State Opera, Teatro alla Scala, Genoa’s Teatro Carlo Felice, Venice’s La Fenice, Bologna’s Teatro Comunale, Turin’s Teatro Regio, Munich’s Bavarian State Opera, Frankfurt, Stuttgart, Dresden, Hamburg, Valencia, Los Angeles Opera, Seattle Opera, Toronto’s Canadian Opera Company, and Tokyo’s Suntory Hall. Maestro Luisotti was awarded the 39th Premio Puccini Award in conjunction with the historic 100th anniversary of La Fanciulla del West at the Metropolitan Opera, which he conducted there in 2010. Luisotti is the former Music Director of the Teatro San Carlo in Naples where he conducted Aida, I Masnadieri, and the Verdi Requiem in a historical performance in San Francisco with both companies involved. In the 2018/19 season, Maestro Luisotti conducts Aida, Rigoletto and La Traviata at the Metropolitan Opera, Turandot at Teatro Real, Beethoven’s Ninth Symphony at the Auditorium Nacional de Música in Madrid and La forza del destino at Opéra National de Paris. 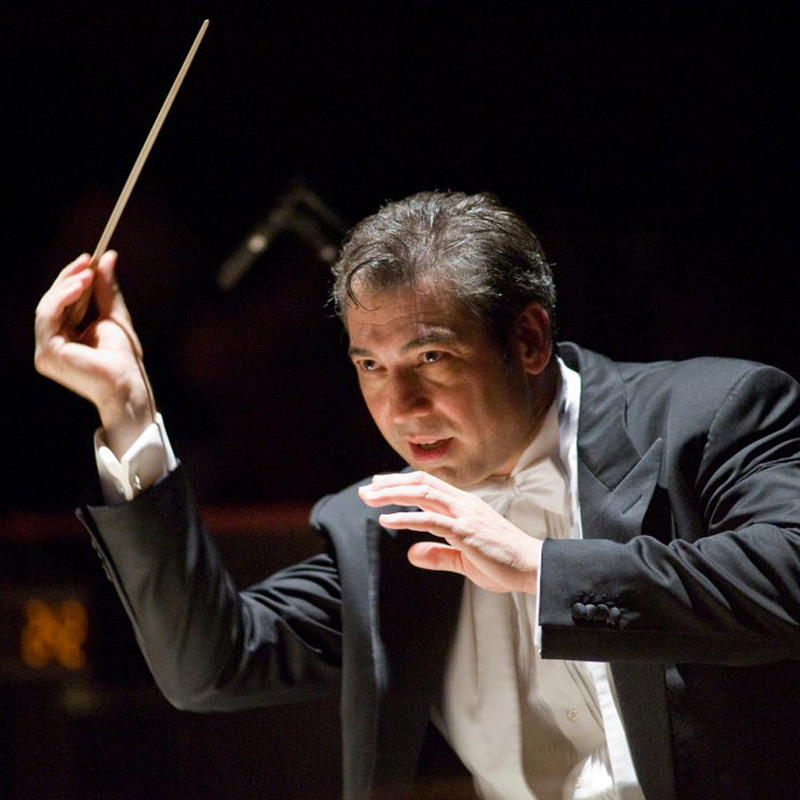 On the concert stage, Luisotti has worked with the San Francisco Symphony, Cleveland Orchestra, Philadelphia Orchestra, Atlanta Symphony, London Philharmonia Orchestra, Orchestre de Paris, Berlin Philharmonic, Bavarian Radio Orchestra, Rome’s Santa Cecilia Orchestra, Orchestra Sinfonica of Madrid, Orchestra of Teatro Regio in Turin, and Tokyo Symphony. Maestro Luisotti is also on the podium of DVD recordings including the Metropolitan Opera’s La Bohème, Royal Opera’s Don Giovanni and Nabucco, and San Francisco Opera’s Mefistofele.